Through our ‘Free for 501(c)3’ program, our team at BarnManager has had the opportunity to learn more about incredible equestrian non-profit organizations from across the country. Each month, we’ll be featuring one such organization here on our blog! In 2016, Michele Hughes spent nearly a month in the intensive care unit with a blood clot and pulmonary embolism. When she got out of the hospital, her husband bought her several chicks and brought the young chickens next to her bed. It was a simple gesture, but for the life-long animal loving Hughes, it was enough to spark an idea. Hughes began raising chickens and taking in animals of all types at what became known as Sunny Side Up Farm in Lecanto, FL. Before long, Hughes’ reputation for helping animals had spread, and she and her husband began receiving calls asking if they could take in animals that were unwanted because of unfortunate situations or moves. 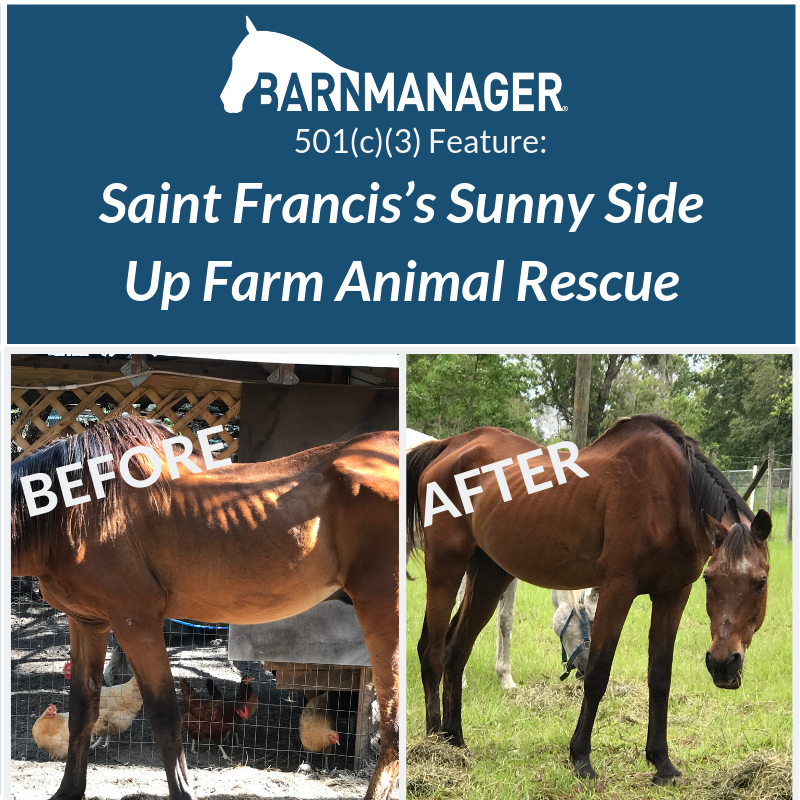 In April 2018, following the continued growth of Hughes’ rescue efforts, and with the help of her husband, mother, and daughter-in-law, Saint Francis’s Sunny Side Up Farm Animal Rescue was officially launched as a 501(c)(3) non-profit rescue organization. “Our goal is to positively change the relationship between people and animals, and one of our main focuses is on teaching children how to care for and have compassion for animals,” explained Hughes, who runs the rescue with the help of three part-time volunteers. Presently, Saint Francis’s Sunny Side Up Farm Animal Rescue is home to three goats, seven pigs, five rabbits, numerous chickens, turkeys, geese, ducks, and cats, and 20 horses – enough that Hughes new she needed to find a solution for managing all of the information and medical records that went along with each horse. “I was looking for something to help me organize all of the horses; it’s so hard to keep everything written on paper,” explained Hughes, who began looking in the iPhone App Store before coming across BarnManager. Now, Hughes is able to use the software to manage the horses available for rescue, as well as her own gaited horses that are the backbone of Saint Francis’s Sunny Side Up Farm Animal Rescue’s fundraising efforts. “We rely on donations, and for fundraising, we have been offering trail rides out in the Withlacoochee Forest,” explained Hughes, who helps oversee up to six riders at a time on the daily trail rides through the beautiful forested landscape surrounding the rescue. All of the funds raised through the trail rides go directly to helping the horses and the other animals being rehabilitated or available for rescue at Sunny Side Up Farm. 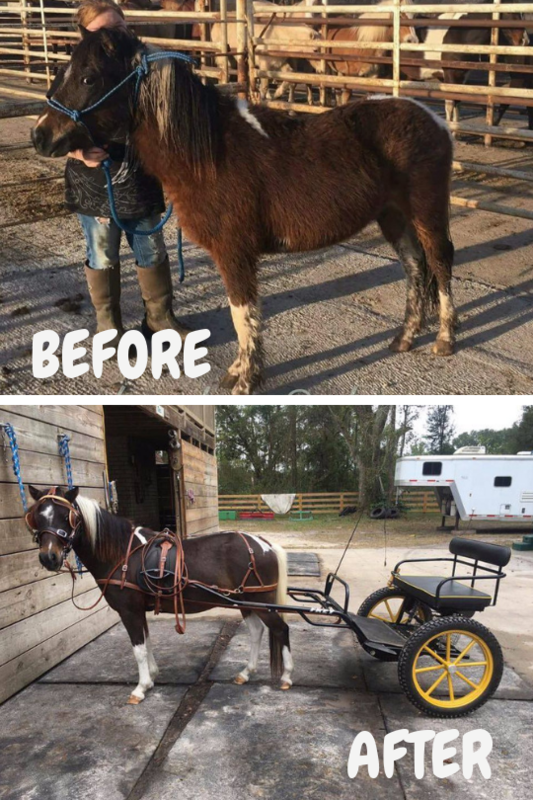 To learn more about supporting Saint Francis’s Sunny Side Up Farm Animal Rescue through trail rides in Lecanto, FL, visit their Facebook page here. Ten years ago, the communities surrounding Driggs, Idaho, experienced the height of an economic downturn. Suddenly, many local, rural horse owners found themselves unable to care for their animals, and horses began to be left behind or neglected as their owners lost their incomes and often even their housing. That’s when horsewomen Jen Carter, Debbie Falber, Gena Howald, Julie Martin, Kim Mills, and Greta Procious decided to together step into action, and HAPI Trails Horse Adoption Program, Inc. was born. HAPI Trails’ mission became providing a happy, healthy, and nurturing environment for the abused, abandoned, and neglected horses of the area – initially with the idea of simply seeing the horses through the tough time in the economy. However, while the women expected the demand for the organization’s services to decline as the economy improved, it remained the same. Year after year, at least 10 to 12 horses were discovered to be in need of HAPI Trail’s help, and for the greater part of the past decade, HAPI Trails has maintained an “at full capacity” status. “This is our first winter since 2009 to NOT be a capacity,” said Martin, the executive director of HAPI Trails. “It’s a good feeling, especially since we had our biggest adoption year in 2018. We were able to find new wonderful homes for nine of the horses in our program. We currently have 10 horses in our program, with another six potentially needing our services, and we cannot take care of more than 25 horses at one time due due to space and funding limitations. We are very responsible when it comes to the care of our horses and unfortunately will not take more than our resources allow. 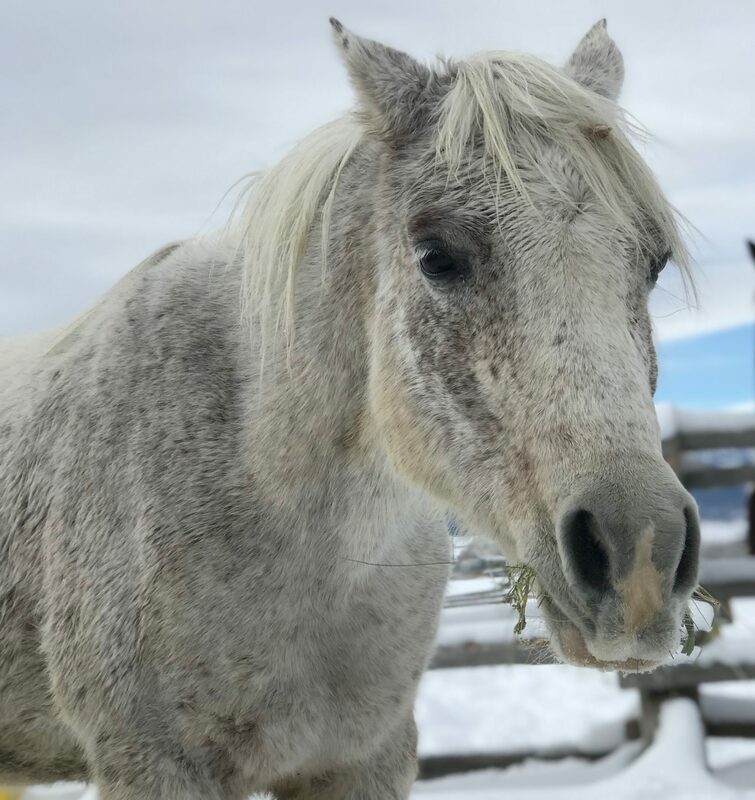 Today, the Driggs, Idaho, based rescue continues to be run 100 percent by volunteers who spend more than 7,500 cumulative hours each year volunteering their time, money, heart, and soul caring for the horses. All of the volunteers are dedicated to rehabilitating and rehoming the horses that come to HAPI Trails into a loving, compassionate, lifelong home. 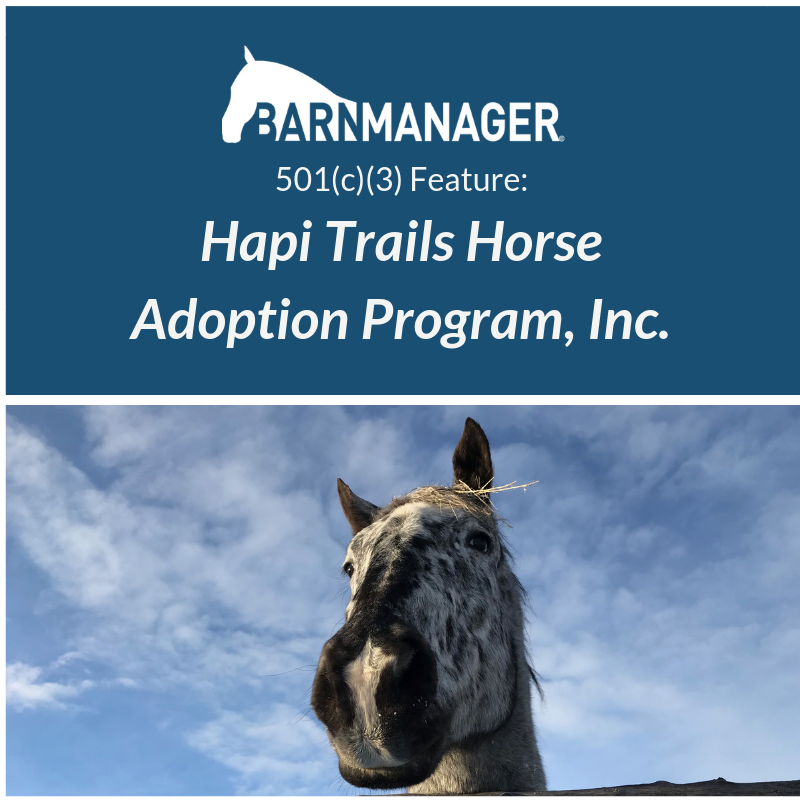 With so many horses to keep track of, Kristie Eggebroten, HAPI Trails’ development director, knew that the organization needed a better way to manage all of the horse’s data and information, which led her to finding BarnManager and the free-for-501(c)(3) program. By simplifying their organization and cutting down on the time needed to stay organized, Martin and all of the volunteers are able to spend more time focused on what they love most about HAPI Trails: the horses! To learn more about HAPI Trails, visit www.hapitrails.org. 501(c)(3) Feature: Pony Tales Refuge & Rehab, Inc.
Wisconsin native Cindy Prince was attending law school and preparing for her First-Year Law Students Exam (commonly called the “Baby Bar Exam”) with her sights firmly set on a successful career as an attorney, until suddenly fate and a half-blind horse intervened. In September 2013, Prince got word of a one-eyed Arabian being given away for free from a rescue that was closing its doors for the winter. 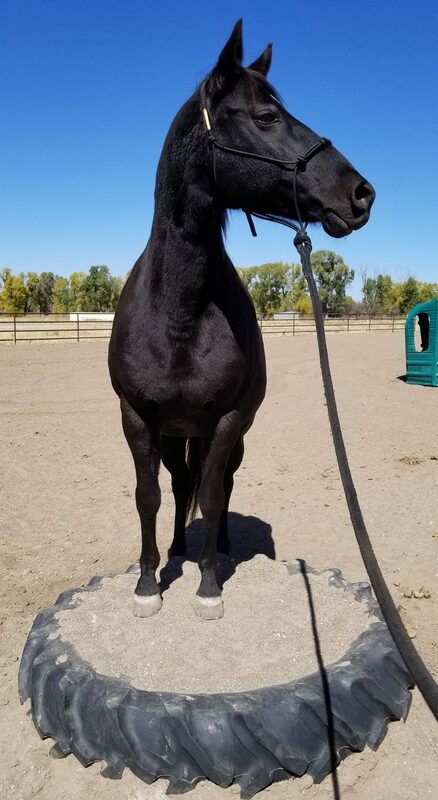 Prince contacted the rescue on a Friday, and by Saturday, she was approved to adopt, with plans made to pick up the gelding Sunday morning after Prince attended a wedding on Saturday evening. That Saturday night however, while dancing at the wedding reception, Prince dislocated her knee cap. The Arabian, now named Kirby, came home with Prince and in the months that followed Prince recovered from her injury – and from a blood clot that developed in her calf immediately following– she passed the Baby Bar Exam, and the idea of starting a horse rescue began to be lightly tossed around between her and her close friends. For Prince, fate already had that one figured out. Two days before the start of 2014, Prince learned that she had stage two breast cancer, and everything came crashing down around her. Throughout treatment, Prince spent much of her time thinking, dreaming, crying, and misplacing her anger on those caring for her, until suddenly everything made sense. Something or someone was telling her that she was on the wrong path. Her heart had always been with horses, and suddenly she knew what she was meant to do. 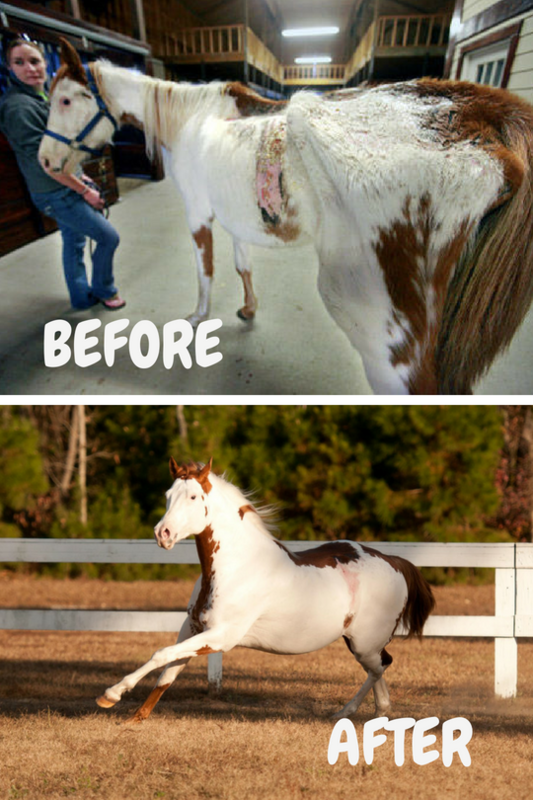 “I began researching other horse rescues and talking with my husband. I no longer had any interest in law school. There was only one thing I wanted to do when my treatment was over – help more horses in need like Kirby,” said Prince. 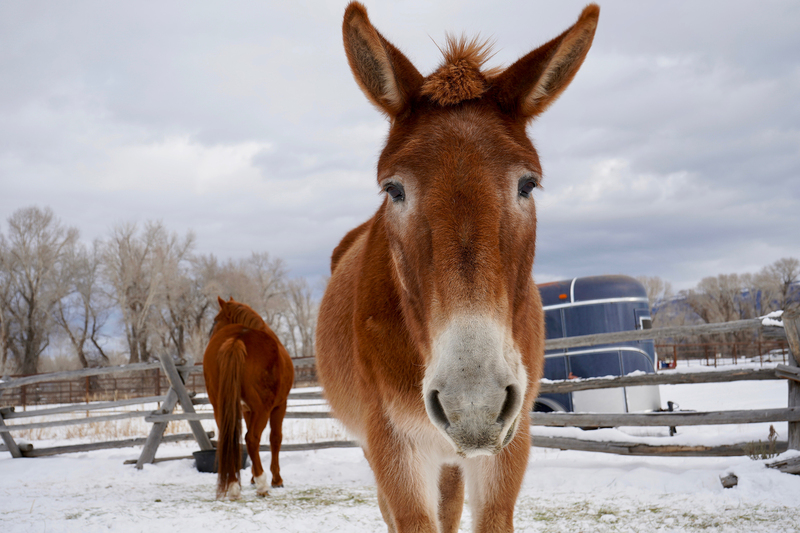 By August 2014, before Prince was even completely done with treatment, Pony Tales Refuge & Rehab, Inc. was born with the mission of rescuing equines from abandonment, abuse, neglect, and slaughter. 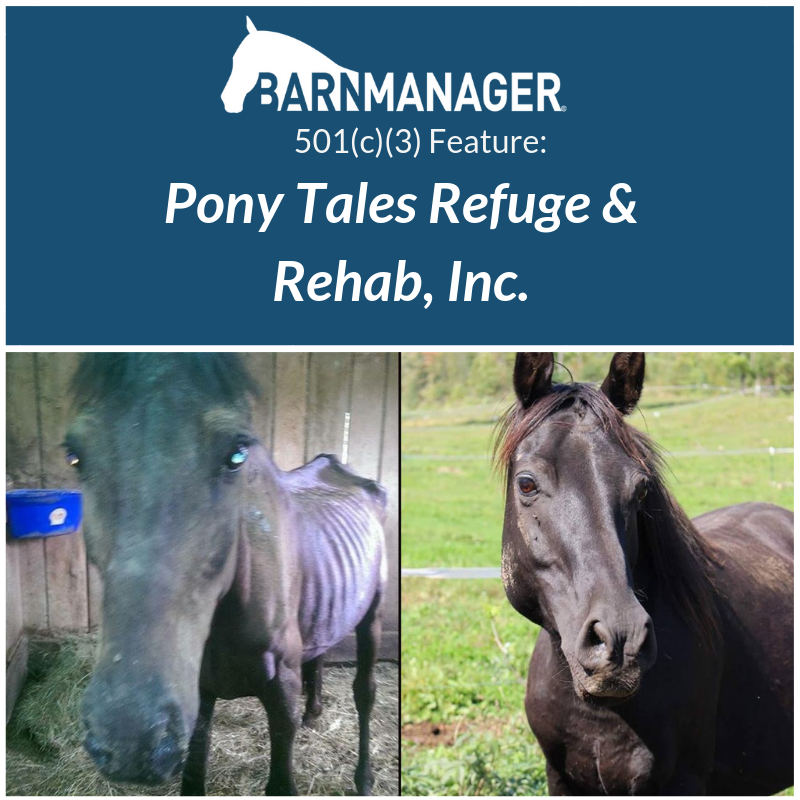 Prince and Pony Tales took in their first two “official” rescue horses in October 2014, and since then, the refuge and rehab has rescued more than 150 equines and, to date, has found homes for 96 of them. 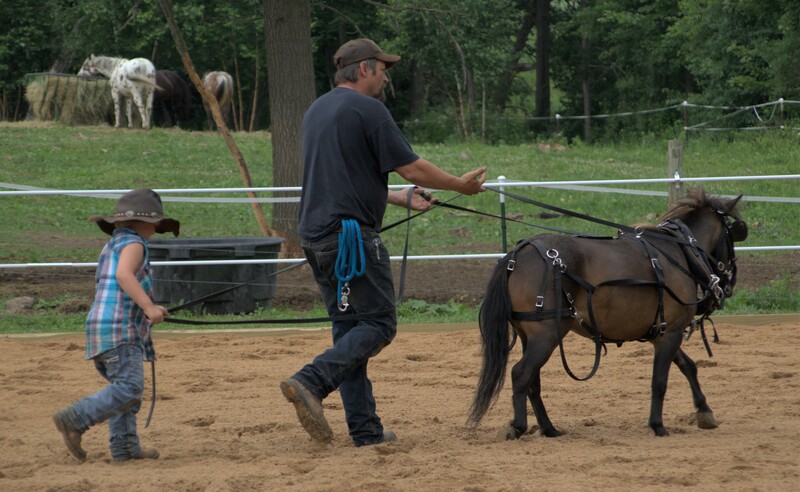 Presently, the Colfax, WI-based rescue is home to 40 equines and specializes in unhandled, feral equines and nurse mare orphan foals, while continuing to take in equines from all walks of life – and while running a special program, known as the Trainer’s Challenge. 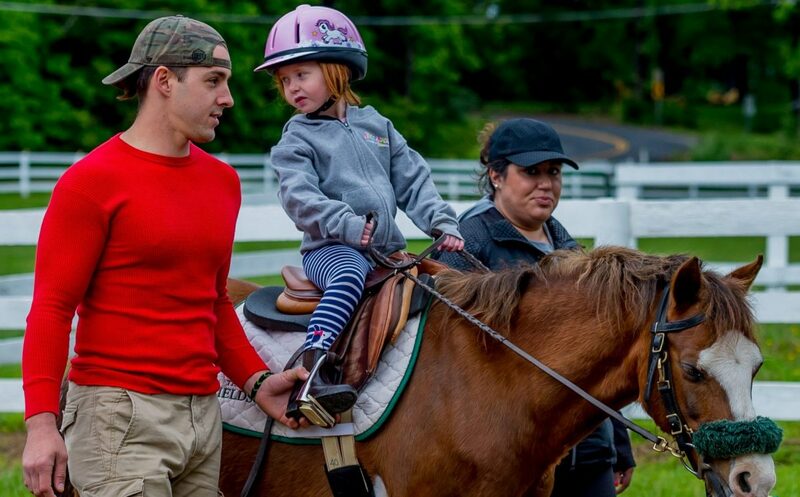 Started five years ago, shortly after Pony Tales initial creation, the Trainer’s Challenge welcomes trainers and riders of all ages and training experience to apply to be partnered with one of the rescue horses. If accepted, the trainer is able to pick up their designated rescue horse in February, working with the horse until June when the horse and trainer together show off their hard work and vie for prizes in the Trainer’s Challenge, before the horse is returned to the rescue and ultimately rehomed. With so many horses at Pony Tales, some of them leaving the property to be involved in the Trainer’s Challenge, and some finding new homes, organization is vital. That’s where BarnManager comes in. “We heard about Barn Manager in 2017 when we became verified by the Global Federation of Animal Sanctuaries (GFAS),” said Prince. “They asked us to find an electronic storage system for our data in case of a fire or other disaster that could destroy our paper files. We began researching programs and initially wanted to try BarnManager. “We thought it was out of our budget at the time and tried other programs over the next year and a half. None of them were quite what we were looking for though. When we learned a few months ago that BarnManager offered free services to 501(c)(3) non-profits, we signed up right away! Whether its importing information into BarnManager and handling organization, updating the Pony Tales’ website, or caring for the horses themselves, volunteers, including a team of board members and four additional reliable and trustworthy volunteers, do the majority of the work at Pony Tales. Prince says she would be lost without them. To learn more about Pony Tales and how you can support the 501(c)(3), visit www.ponytaleswi.org. Dr. Susan Spivey had just graduated from the London School of Economics when she received a call from a friend, congratulating her on completing her dissertation and asking her a question – a question that would ultimately end up changing the course of Spivey’s life over the last two years. 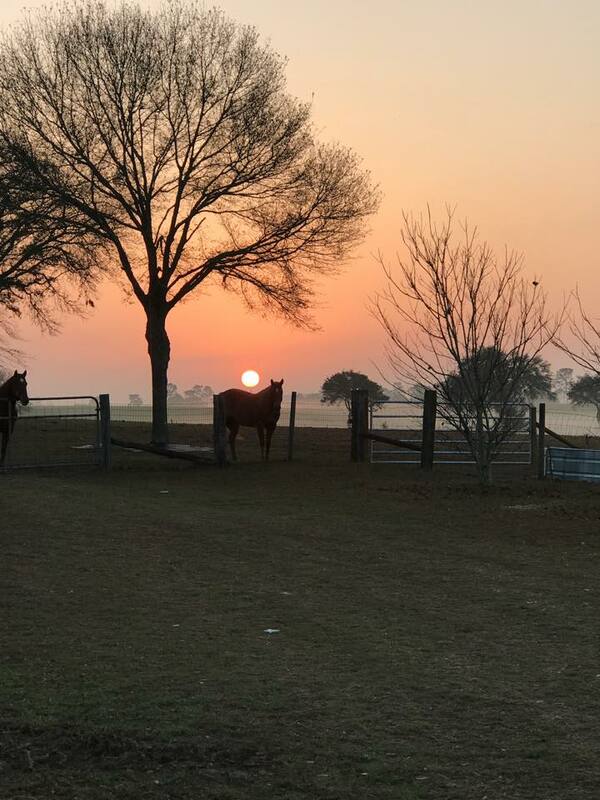 By that very same evening in September 2016, Spivey had rescued her first two horses, and that week, Brego and Arwen arrived at Spivey and her husband, Pat O’Neal’s Southern Redhead Farms in Bronson, FL. “We had Brego and Arwen, and then this little colt popped up on my Facebook feed; he looked absolutely just terrified,” said Spivey, who next rescued that colt, Phoenix, and then George and Gracie, a wagon-pulling team destined to be killed as George had broken his leg. 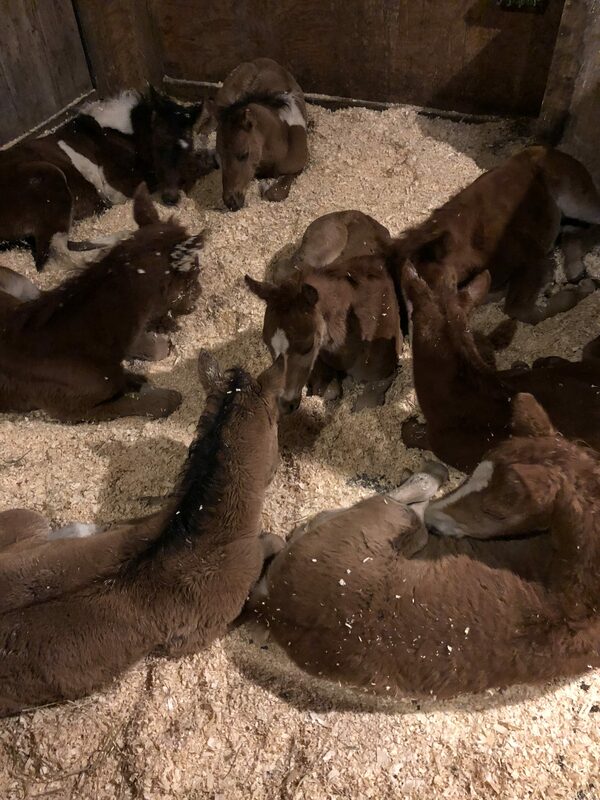 As Spivey realized the ongoing need for rescue of these horses, the Southern Redhead Farms Rescue was officially born, with the name sharing that of Spivey’s farm and honoring Spivey’s mother, a redhead from South Carolina who lost her battle with cancer. Since its inception two years ago, Southern Redhead Farms Rescue’s mission has remained saving abused, abandoned, and neglected horses, rehabbing them, and then finding them new, safe forever homes. Today, it’s grown exponentially and is currently home to 37 equines, ranging from Quarter Horses and Thoroughbreds to miniature horses and donkeys. With so many horses to love, care for, rehabilitate, and adopt out, Spivey has turned to BarnManager as a resource to keep track of all the horses’ paperwork and records. “We would leave notes for each other; if somebody was on antibiotics or we were going to increase the feed for somebody, we’d put that in the notebook, and we’d date it,” explained Spivey, who also continues to work full-time as an associate director of medical sciences for a biotechnological and pharmaceutical company. In addition to the benefit of BarnManager for streamlined organization and paperwork, the rescue has significantly benefited from the support of a knowledgeable and well-rounded board of directors. “I’ve got a board of directors that is just awesome,” said Spivey. “One woman, Karen Putnam, just came to our board, and she has really helped me immensely. I didn’t have a lot of contacts within the horse industry, and she does have that. So, it’s been a Godsend since the day that she showed up here at this rescue to look at a mini! Through the efforts and the effort of her husband, the board of directors, and the staff that helps care for the horses, Spivey hopes to place more horses into loving, adoptive families and garner additional support to cover the expenses of rehabilitating and caring for the animals during their time at the rescue. “I do work full-time and part of that is to be able to put feed in these horses’ mouths,” said Spivey. “I’ll be honest and say that I probably fund 60 to 70 percent of the day-to-day expenses of running this rescue. I would like to eventually flip that and say that I’m only funding about 30 percent of the rescue, and 70 percent we have coming from donations and fundraising. Eventually! To learn more about Southern Redhead Farms Rescue, to view the horses currently available for adoption, and to find out how you can help, find the rescue on Facebook here. For questions or for additional information, Dr. Susan Spivey and the team at Southern Redhead Farms Rescue can be contacted at southernredheadfarmsrescue@yahoo.com. In 1980, the Fairfax 4-H Therapeutic Riding Program was launched with one borrowed horse and a handful of riders. Today, 38 years later, that program has evolved into the Northern Virginia Therapeutic Riding Program (NVTRP), with a herd of 15 horses, four full-time and eight part-time staff, and a team of up to 250 weekly volunteers that serve approximately 115 riders each week. With an ever-growing team, the need for organization is paramount—that’s why NVTRP Equine & Facilities Manager Christina Duffy found herself searching online for a horse management tool. In her Googling, she came across BarnManager. 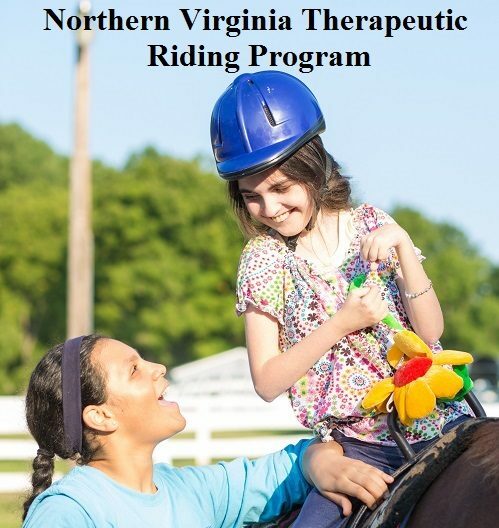 This streamlined organization makes it easier for NVTRP to continue to focus on fulfilling its mission of providing equine-assisted therapeutic services to children and adults with disabilities, youth-at-risk, military service personnel, and their families in an inclusive, community-based setting. NVTRP’s number one goal is to use equestrian-based services to provide a range of physical, social, and emotional benefits, and to help riders attain the healthiest, most independent lives possible. Today, in order to meet the growing demand for NVTRP’s services, the organization has begun construction and a capital improvement project. Part of the project includes a new, larger, lighted outdoor riding ring, an accessible playground, and improved parking and access. To learn more about NVTRP and to get involved in the capital campaign, visit http://nvtrp.org/capital-campaign. In the mid-1980s, one Alabama girl, Marianna Greene Henry, begged her parents to start a therapeutic riding program on their farm near the Alabama Institute for Deaf and Blind (AIDB) in Talladega, AL. 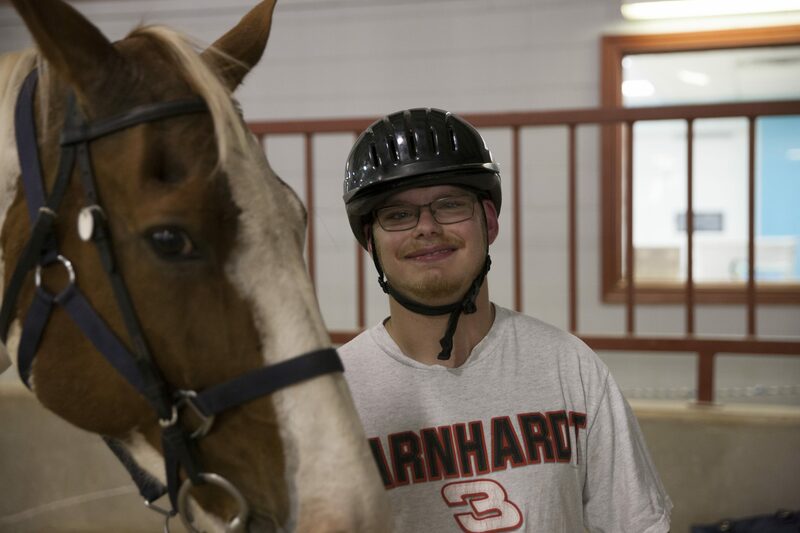 Henry had been volunteering with a therapeutic riding program in Birmingham, AL, and she was amazed at the positive impact that the horses had on the children with disabilities. Knowing that just down the road from her family’s farm, the AIDB was helping so many similar children, Henry thought it would be the perfect fit and could make an incredible difference for those children. 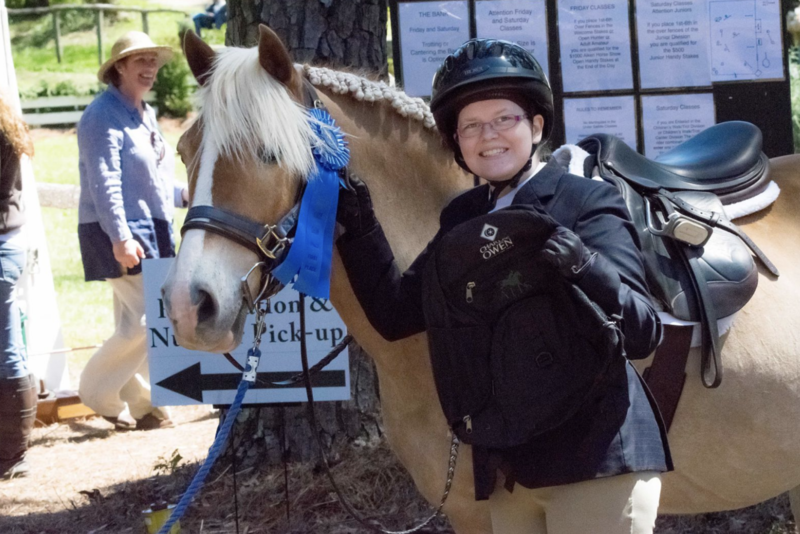 Sadly, in 1989, Henry was diagnosed with cardiomyopathy – a heart disease that only a heart transplant could cure – and she died that March as surgeons tried to implant an artificial heart and before her therapeutic riding program dream could come to fruition. 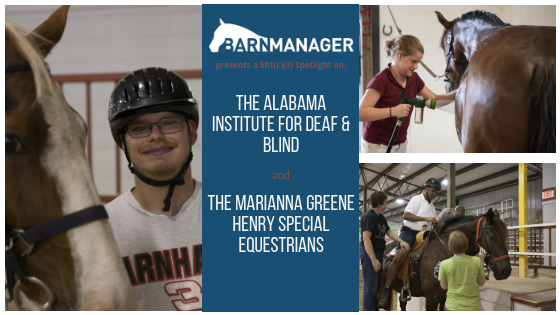 Soon after their daughter’s death, Pat and Marilyn Greene founded the Marianna Greene Henry Special Equestrians program (MGH) as part of The Alabama Institute for Deaf and Blind in memory of their daughter. The Greenes started modestly with a few horses and a ring in their side yard. However, within months the program had blossomed into something greater than they ever imagined. 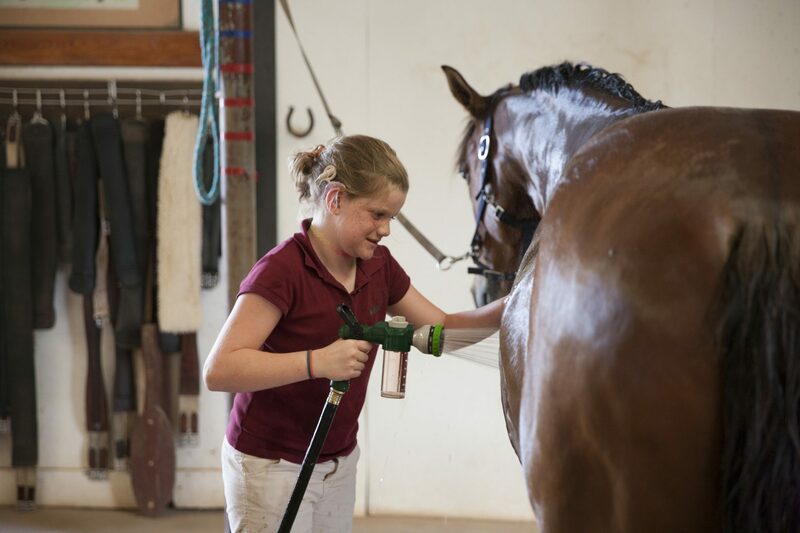 Today, the program at their farm is housed inside a 39,000-square foot arena and serves 350 to 400 children per year, making it the largest program in the country serving deaf, blind, and multi-disabled riders. 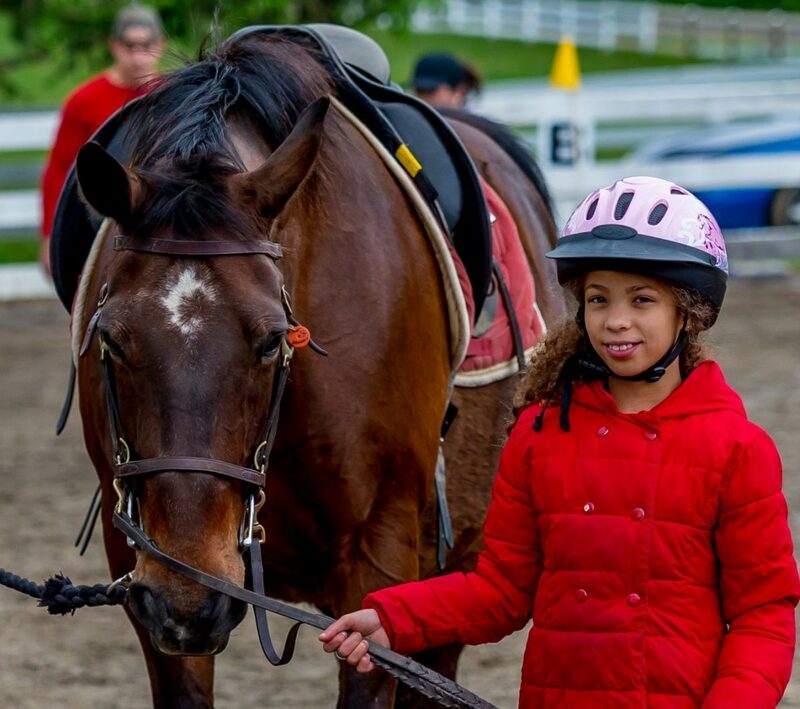 MGH’s mission is to maximize the potential and well-being for the students by providing equine-facilitated activities in the areas of therapy, sport, and recreation to enhance physical and mental skills, aid in mobilization, and promote socialization and communication. To fulfill that mission, MGH offers therapeutic riding, hippotherapy (physical, occupational, or speech therapy treatment strategy that utilizes equine movement), equine-facilitated mental health, equine-facilitated psychotherapy, equine-facilitated learning, and a work experience program. In the last fiscal year alone, MGH provided more than 3,000 rides to students at AIDB. With so many rides and generally around a dozen horses in the barn, MGH now utilizes BarnManager to stay organized. Keeping the horses well cared-for allows for the magic that exists between a horse and rider with sensory or physical disabilities that transcends all language and physical barriers – something that is so evident at MGH. Presently, Marianna Greene’s younger brother, Tim Greene, serves as the program administrator and Pat Greene sits as the president of the MGH Foundation. Marilyn and Pat Greene continue to volunteer at MGH every Tuesday, where they’ve seen first-hand the miraculous transformation of many of the students and the joy and self-esteem that the riders gain. Click here to learn more about MGH and to find out how you can help make a difference! To signup for a Free Trial of BarnManager click here, and to learn more about out Free for 501(c)(3) program click here! Aiken, South Carolina is one of the foremost equestrian communities in the Southeast. However, in Aiken County and the surrounding areas, the number of individuals living with significant life challenges and disabilities is also higher than the national average. 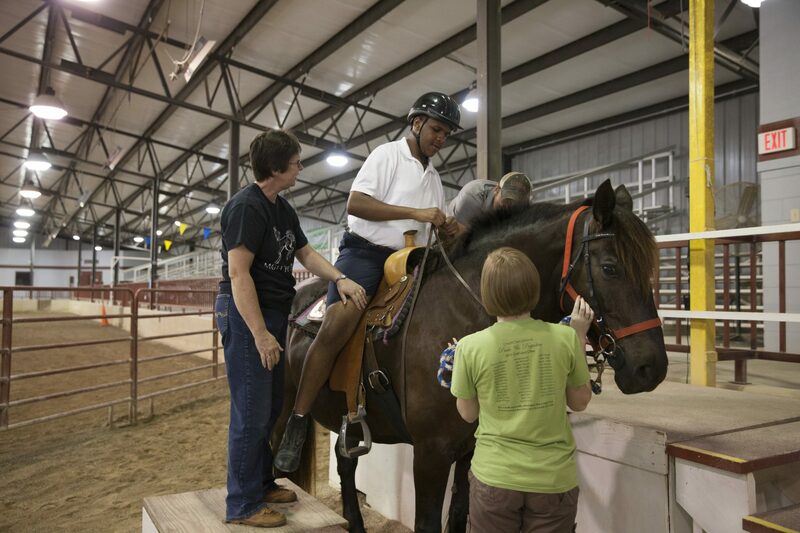 Given these two factors, it seems only fitting that Aiken would be home to one of the leading therapeutic riding centers in the region, the Great Oak Aiken Therapeutic Riding Center, designed to promote certified therapeutic riding for children and adults with physical, emotional, and psychological challenges. Formerly known as STAR Riding, Great Oak Aiken Therapeutic Riding Center began expanding two years ago when the board courageously purchased a 20-acre farm and began a $1.5 million campaign to construct a state-of-the-art, fully handicapped-accessible facility to provide therapeutic riding. “It brings an incredible amount of joy to the board and instructors to have this available in such an equestrian community like Aiken,” said the program and volunteer coordinator, Nicole Pioli. According to Pioli, the number of individuals in the area with life challenges is significant due to lower per-capita income, less available healthcare, and the presence of two military installations in the region. It’s the mission of Great Oak to provide equine- assisted activities that promote improved physical, emotional, and psychological health for anyone affected by these challenges. Pioli came across a BarnManager advertisement on Facebook and immediately recognized how beneficial the software could be in helping the organization fulfill its mission. “As an organization, we are supported by many volunteers, and it is critical for us to be in communication at all times about our horses’ needs and routines,” said Pioli. “We’re a non-profit, so it is critical that we are making sure we are managing our funds. I use the whiteboard in the BarnManager app to document every feed and hay delivery in order to show that we are being efficient in our feed practices. The calendar feature is great because it allows our instructors to communicate about which horses have been exercised and to document what areas our horses need improvement in. They have a very important job, and we are working with very fragile individuals, so we need to ensure that everyone is kept in the loop about changes in their routine. “Working in a non-profit means that we wear a lot of hats and knowing that all of our horse documents are in one place helps,” concluded Pioli. 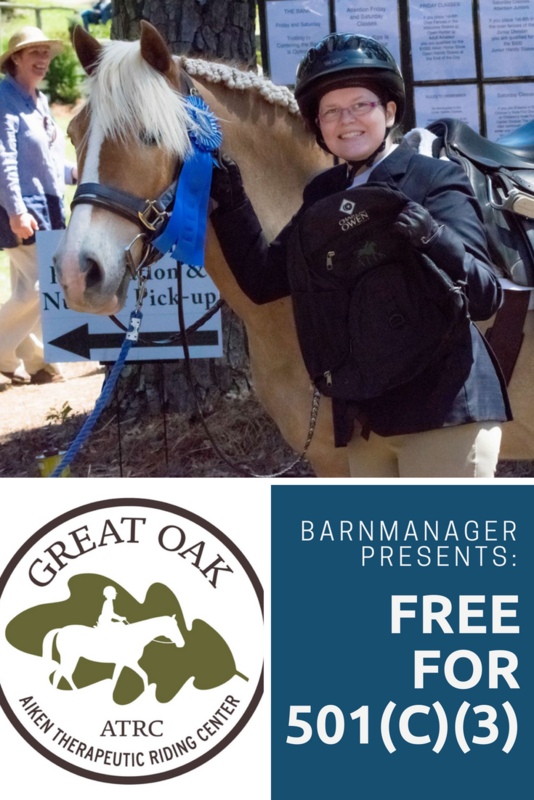 Great Oak Aiken Therapeutic Riding Center strives to make services available to all participants for whom registration is accepted but cannot afford full tuition. Great Oak fulfills this mission through the generosity of supporters, and it’s through that generosity that Great Oak can provide access to transformation healing by developing a community of acceptance and empowerment through therapeutic riding. To learn more about Great Oak Aiken Therapeutic Riding Center, visit www.greatoakatrc.org/programs. 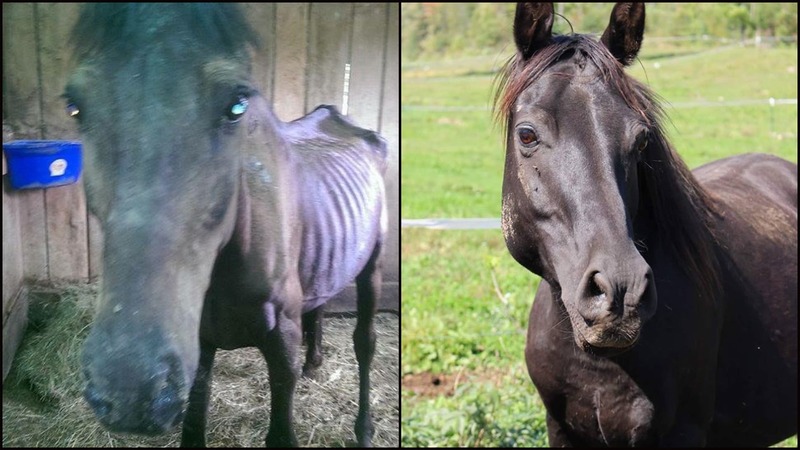 from a local farm following continued complaints to the authorities of the horses’ abuse and neglect. 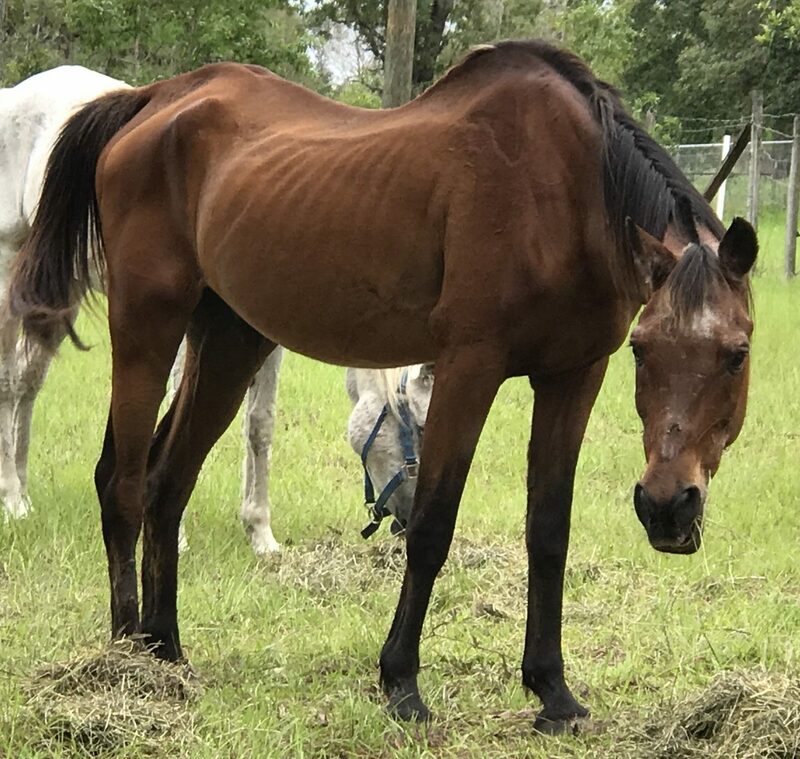 Recognizing the dire need for homes for these horses – many of which were in extremely poor physical condition – one South Carolina resident, Elizabeth Steed, took on the care and rescue of 33 of them. It was from that event and out of crisis and necessity that the Livestock & Equine Awareness & Rescue Network (L.E.A.R.N.) Horse Rescue was born. Steed had spent 20 years prior to the 2009 rescue involved in private horse rescue in the Charleston, SC, area, and she had served as Charleston County’s large animal consultant for 10 years. When the state seized the 47 horses in 2009, Steed immediately recognized that there was a need for an officially designated equine rescue organization in the Lowcountry of South Carolina, and so began L.E.A.R.N. Horse Rescue. Since its founding nine years ago, L.E.A.R.N. 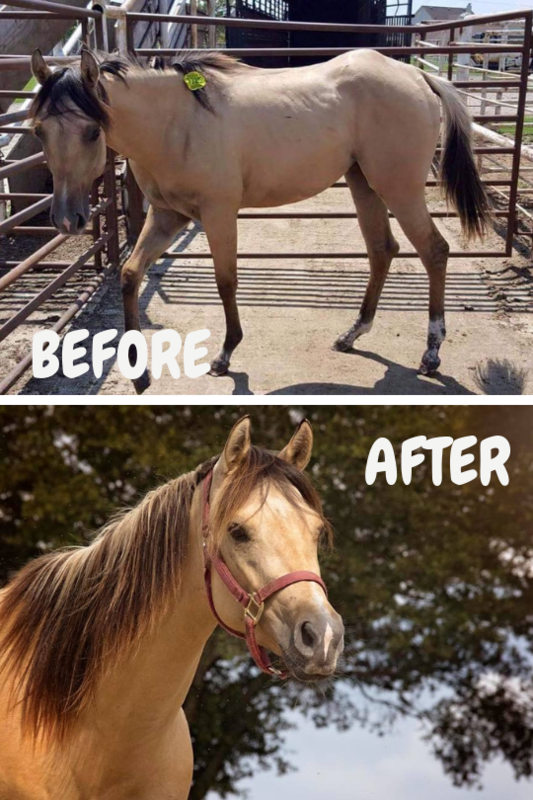 has successfully rescued, rehabilitated, and re-homed more than 300 previously abused horses, with a specialization in rehabilitating severely starved horses. The organization is run entirely by volunteers, with no paid staff positions. Instead, a dedicated group of approximately 25 volunteers take turns signing up for morning and afternoon feeding shifts and care. With many volunteers and so many horses to keep organized, L.E.A.R.N. volunteer coordinator Jane Higdon was looking for a way to coordinate everything and “to work smarter, not harder,” when she came across BarnManager. “I searched online for a program like I have used when working at vet’s offices, where we could keep all of the information on our horses in one spot,” said Higdon. “[BarnManager] helps tremendously since we are often standing in the middle of a pasture when we need to update information.” Today, L.E.A.R.N. Horse Rescue utilizes BarnManager to update horses’ records from anywhere, reduce the amount of paperwork that they have to go through when needing to find information quickly, and to smoothly and easily print out a horse’s records for its new owners once the horse is adopted – one of the ultimate goals of the rescue. 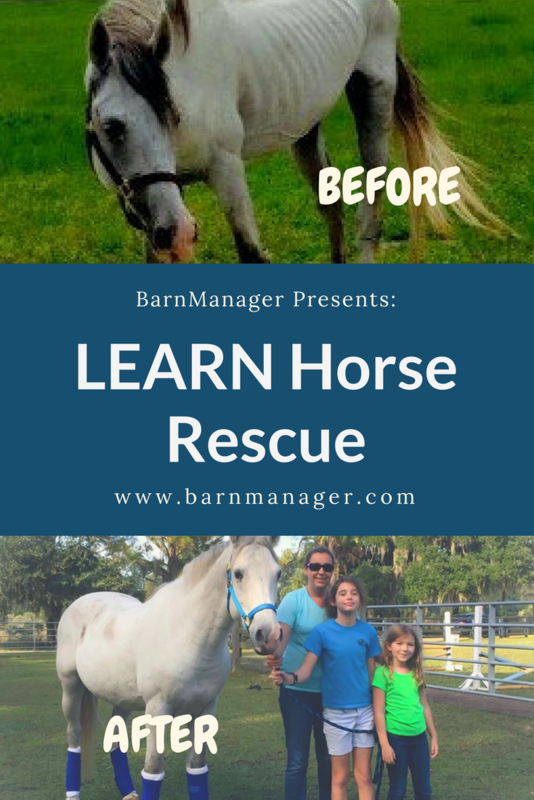 In addition to re-homing the rehabilitated horses, L.E.A.R.N. aims to reduce or eliminate the vast numbers of abused and neglected horses throughout South Carolina through education and awareness. To learn more about L.E.A.R.N. Horse Rescue, please visit www.learnhorserescue.org. Everyone deserves a second chance, or, at Second Chance Thoroughbreds, at least every retired Thoroughbred race horse. Today, Second Chance Thoroughbreds’ board of directors includesDuddy and fellow lifelong horsewomen and volunteers, Karen Faillace and Robyn Hancock-Null. 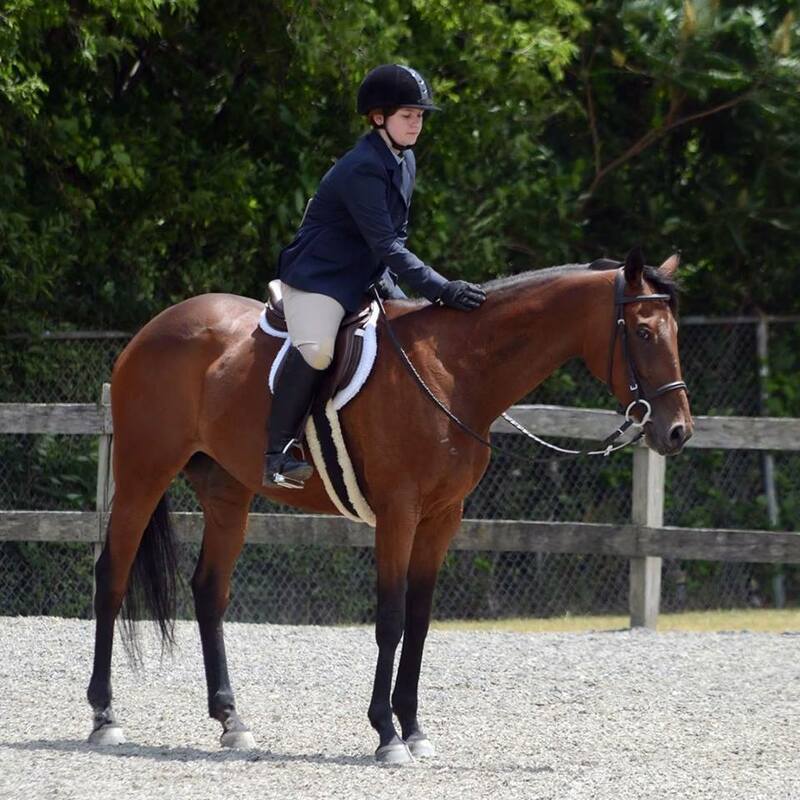 The organization is dedicated to providing OTTBs with a soft landing after the end of their racing careers, giving them ample down time and re–training before transitioning the horses to a new career.area for those horses. Soon after Duddy’s initial visit, six off-the-track Thoroughbreds (OTTBs) traveled to the Duddy’s farm in Spencer, NY, to be re-trained and re-homed. One of 64 organizations nationwide accredited by the Thoroughbred Aftercare Alliance, Second Chance Thoroughbreds also works to educate and demonstrate to the public how versatile and trainable Thoroughbreds are by offering clinics and participating in shows, parades, and community events. The organization is also unique in offering riding lessons and a summer horsemanship program using some of the OTTBs. With many horses coming into the program or leaving to be adopted and re-homed at any given time, BarnManager has been a welcome addition to the non-profit in helping them keep track of each horse’s paperwork and schedule. BarnManager’s cloud-based software allows the staff of Second Chance Thoroughbreds to input information and seamlessly communicate about the details of each horse’s care. 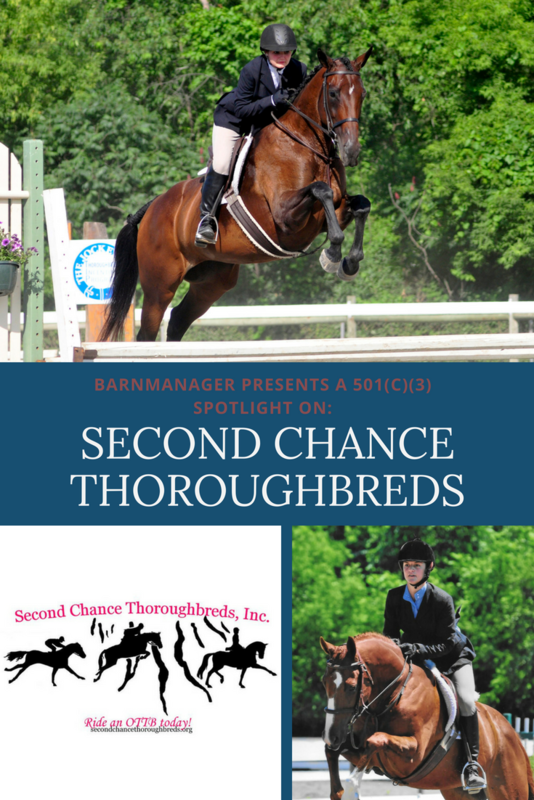 To learn more about Second Chance Thoroughbreds, visit www.SecondChanceThoroughbreds.org.